Opportunity! A 2016 white Volkswagen Touareg now available at a reduced price. Reduced price! White Volkswagen Touareg 2 Y Warranty! SEL 3.6L V6 - GCC - AED 1,610 per month - 0% Downpayment from 2015 with brown interior. Automatic, 18 inch wheels, AUX audio in, LED headlights, beige interior, gold exterior. Automatic 2016 Volkswagen Touareg with 17 inch wheels, airbags (front and side), power locks, black interior, white exterior. GCC spec. Imported spec Volkswagen Touareg with Power locks, 17″ wheels and Alarm. Price reduced! White 2017 6 cylinder SUV/Crossover. Black interior. It has parking sensor front and power windows. Automatic 2011 Volkswagen Touareg with 18 inch wheels, air conditioning, airbags (front and side), beige interior, white exterior. Opportunity! 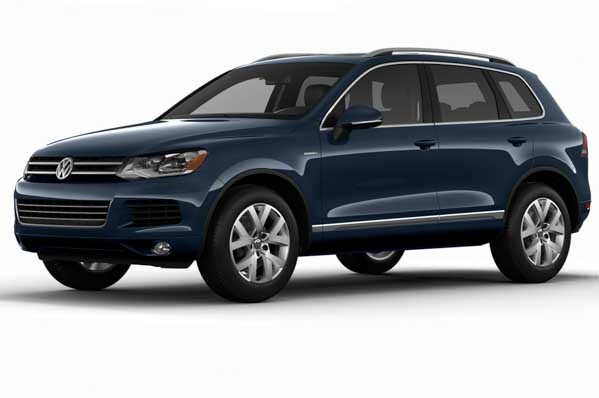 A 2015 gold Volkswagen Touareg V6 Blue Motion now available at a reduced price. GCC spec Volkswagen with CD player, 18″ wheels and Power seats with memory. Price reduced! Automatic 2012 Volkswagen Touareg price AED 80,000, with 20 inch wheels, ABS, airbags (front and side), black interior, black exterior. Imported spec. GCC spec 2012 Volkswagen with Power windows, 18″ wheels and Parking sensor rear. Price reduced! Brown SUV/Crossover, tan on the inside with air conditioning and tuner/radio. 18″ wheels. Nasir - My import used Touareg is perfect. It’s only the standard model with the V6 motor equipped but it’s a great car, and the specs are great for the price I paid. Next you I’m looking to buy a second hand Sport version or an R V8. Pros: Specs for the price, build quality and ride. Qassim - I looked for a pre owned Volkswagen Touareg for sale in Dubai, UAE online and found a few I was interested. The price in UAE is good compared to those export cars from America, and the specs are very good for Dubai. Pros: Options, price and handling. Cons: Parking can sometimes be a struggle. Waleed - Finding a second hand Volkswagen Touareg for sale in Dubai, UAE, there are plenty of cars floating around the market many with low prices which is perfect for my budget. Pre owned ones are the right choice and standard trims are just perfect. Pros: Price bracket, interior options and power. Cons: No seven seater option. Standard with V6, if you require more power or something rarer you can find yourself a V8 or even a W12 motor with a suprsing amount of horsepower on offer. For an SUV, they handle quite well, and when you throw it into a corner there isn’t a whole load of body roll. Standard models are well equipped. Leather trimmed seats, air conditioning, power accessories and more, what else can you ask for. Need to tow a couple of quads to Big Red? Compared to its rivals, the Touareg can tow up to 3,500 kilos. Its ride, styling, interior and handling has often been compared to that of a luxury sedan. Volkswagen’s first step into the SUV market was a big one, with no previous experience the world wasn’t quite ready for it. But after seeing the crash safety results, the sales started coming in. The cars are best known for their standard models which are quite inviting and sit higher up compared to its rivals. 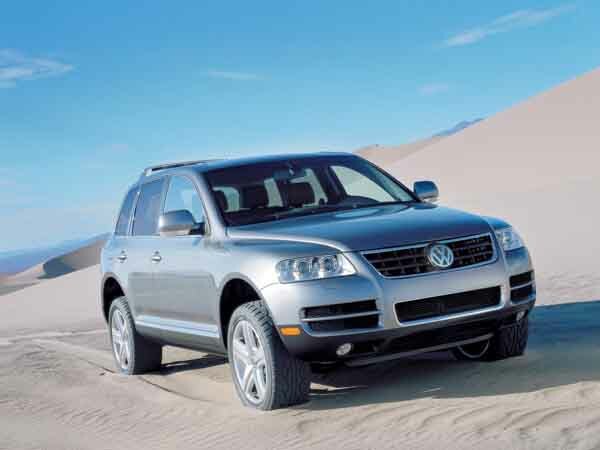 The Touareg also has a rich history in motorsports with outright wins in the Dakar Rally and Baja 1000 over the years. One win came at the hands of Qatari Driver Nasser Al-Attiyah. Road Rivals: Jeep Grand Cherokee, Toyota Prado, Dodge Durango, Volvo XC90 and the Ford Explorer. With seating available for five occupants, the Touareg launched Volkswagen head first into the SUV market. Base models feature bulb headlights, leather-trimmed fabric seats, power accessories, CD player, air conditioning and ABS. Optional extras include Bluetooth, navigation, media inputs, sunroof, full leather upholstery, memory seats, xenon headlights, roof rails and memory mirrors. In 2007, the Volkswagen Touareg R50 launched with 21-inch rims, sport-tuned suspension, multi-zone climate control and a unique exterior. In the same year, the entire Touareg range received a facelift that introduced a new grille, enhanced ABS braking system, adaptive cruise control and blind spot monitoring. Base models are fitted with a V6 3.2-litre petrol motor mated exclusively to an automatic gearbox in GCC countries; manual boxes are available in export markets. Alternatively, more powerful V8 and even a W12 engine are available with the latter rated at 450 horsepower and able to reach 250 km/h and run 0-100 km/h in 5.9 seconds! 500 versions of the Touareg W12 are said to have been built with an estimated 330 destined for the GCC most specifically Saudi Arabia with the rest heading to Europe and China. No units were sold in the United States. The 500 units are just a placeholder as it’s unknown exactly how many units were eventually sold. Diesel models are also available with various engine sizes including a V10 5.2-litre motor that provided enough torque to pull a Boeing 747 aircraft! Want to buy a used Volkswagen Touareg for sale in Dubai, UAE? Prices start at AED 39,000. In its second generation, the Touareg receives a brand exterior and interior. New options include Adaptive Cruise Control or ACC, lane assist, front collision avoidance system, adaptive air suspension and for the first time on a civilian vehicle along with all the standard and optional extras from the previous generation. In 2010, Volkswagen introduced the Touareg exclusive which features exclusive two-tone Nappa leather covering each of the five seats, 12-way power seats, Chrome&Style trim, silver roof rails, 19-inch rims with optional 20-inch ones. With the W12 engine discontinued for obvious reasons, the V6 and V8 are available across the range with the six-cylinder 3.6-litre engine serving as the standard motor. Both power all four wheels and are controlled by an 8-speed automatic gearbox. In 2014, the Touareg received a facelift and standard models have enhanced once again with xenon’s added to the front end and reworked suspension. Non-standard features include upgraded adaptive cruise control, an uprated V6 diesel engine, automatic post-collision braking system and improved infotainment system. Want to buy used Volkswagen Touareg in Dubai, UAE? Prices start at AED 149,000.